TenneT Holding B.V. and the EIB on August 14, 2018 signed an agreement on the issuance of EUR 100 million hybrid capital by TenneT (rated A3/A-) to support a 1400MW High Voltage Direct Current link form Tonstad in Norway in Tonstad to Wilster in Germany . EIB has purchased EUR 100 million hybrid securities to be consolidated and form a single series with TenneT’s hybrid Securities programme launched on 12 April 2017. After the signature in 2017 of loans to TenneT and Statnett, the EIB has now subscribed to a hybrid bond issue by TenneT to further support the project. The financing was made possible by the European Fund for Strategic Investments (EFSI). The hydrogen community is closely monitoring these developments for opportunities to introduce hydrogen grid management solutions. TenneT is currently testing electrolyser impact on the Cobra cable, half the size of the NordLink and half the distance, in cooperation with Gasunie New Energy in the TSO2020 project that EHA has been supporting in cooperation with the Dutch Ministry of Infrastructure and Water Management. Tonstad is slocated relatively close to the HYNOR HRS corridor and Wilster is close to Hamburg and Bremen linked to the Heide region that has experessed a serious hydrogen ambition. The NordLink interconnector developed by the Norwegian TSO Statnett and DC Nordseekabel, each with 50% ownership. 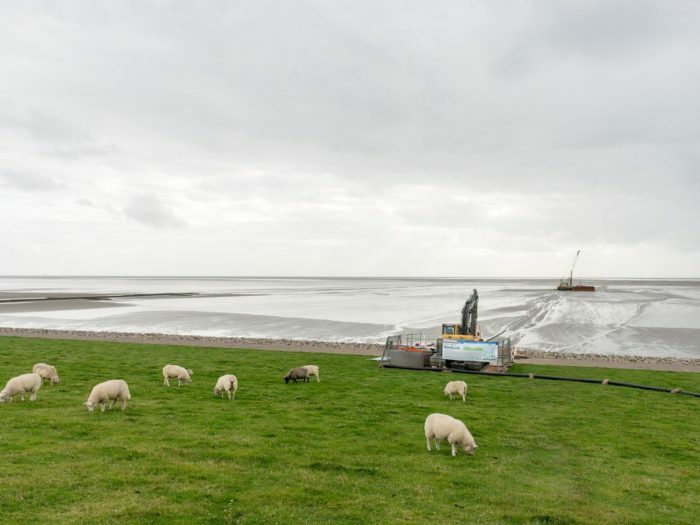 DC Nordseekabel, is equally owned by TenneT and the German promotional bank KfW, and is responsible for the construction of the German part of the project. Once completed, a bipolar high voltage direct current (HVDC) link will connect Norway and Germany across the North Sea with a rated capacity of 1400 MW and a total length of 624 km. NordLink will improve diversification and security of supply, enhancing electricity market integration in both countries, and more widely between Northwest Europe and Scandinavian countries. It is also designated as a Project of Common Interest in the Priority Corridor Northern Seas Offshore Grid. The hydrogen community is monitoring these developments closely for opportunities to introduce hydrogen solutions as TenneT is currently testing electrolyser impact on the Cobra cable in cooperation with GasunieNew Energy in the TSO2020 project that EHA has been developing in cooperation with the Dutch Ministry of Infrastructure and Water Management.